Look, no one is saying that tacos aren’t a delicious meal to be cherished. The problem is that they are ridiculously hard to eat without looking like a hungry ant eater. The shell cracks so easily, you have to wonder why they’re even considered a legitimate vehicle for ground beef and fixings. 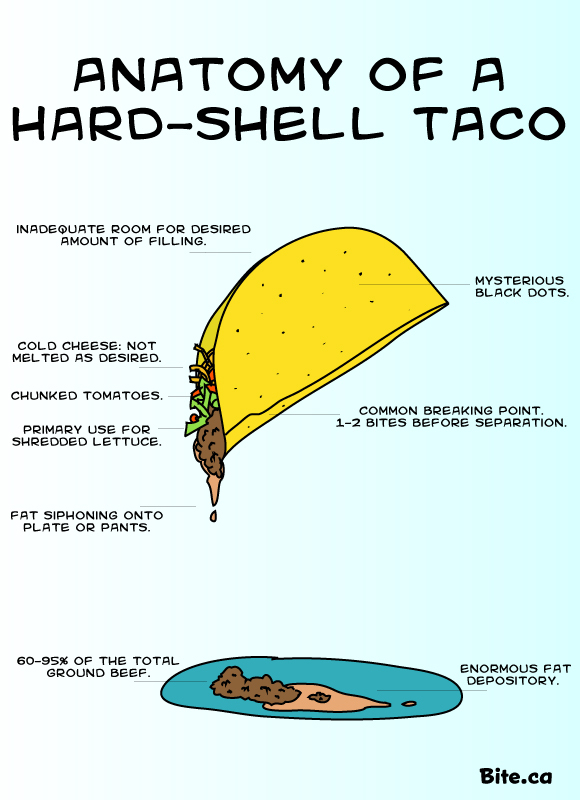 This anatomy chart I made for Bite, really breaks down the unforgiving nature of the hard shell taco while also making my mouth water. I’d hate to brag about how delicious looking my drawing is, but facts are facts. Drawing = delicious.